Four years ago, Alaska Airlines pilot Jodi Harskamp’s home burned down. Overnight she lost everything she owned — and the worst of it was that she’d just had a baby. But then something beautiful happened. Jodi’s co-workers stepped up and offered support. In particular, flight attendant Jenny Stansel. She came by the next day with lasagna, keeping Jodi’s spirits up through the most difficult period of rebuilding her life. Jenny proved herself to be a truly generous friend. Over the next few years, they ended up on a number of flights together and Jodi learned more about Jenny. 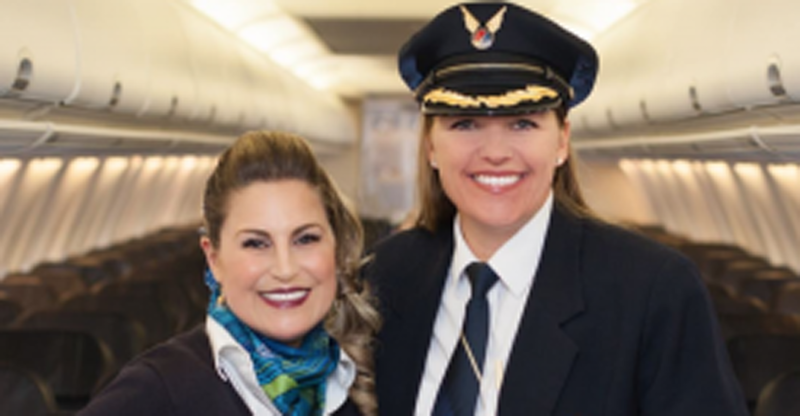 The flight attendant hadn’t told any of her colleagues that she was battling chronic kidney disease, but now she shared it with Jodi. It had gone on for 15 years but her doctors were saying that she needed a transplant or she wasn’t going to make it much longer. Jodi knew what she had to do. She asked to take the test to find out if she’d be a compatible match. Meanwhile, Jenny ended up on dialysis with her kidneys now working at only 6% of capacity. The transplant became more and more urgent. Jodi’s test results arrived and they were positive! Both women moved temporarily from Anchorage to Seattle to undergo the operations. The stewardess was ecstatic and overwhelmed. "From the beginning, she had no doubt that she was going to be my donor, and I kind of felt the same way." Meanwhile they had a lot of fun joking about serving up the kidney in an ice bucket on the plane’s drink cart. Jodi explained her pragmatic reasoning: "I always say, I’m going to lose a kidney but she’s going to still live. It’s a pretty fair trade-off and the pain is temporary." On March 13th of this year both women were successfully operated on, with Jenny receiving the life-saving kidney safely. They both recovered well while everyone waited to find out how Jenny’s body will react to the new organ. They’re both thrilled with their progress. These two are proof that you never know what will grow out of an act of kindness. You might reap a great friendship — you might even get your life saved. It’s an inspiration to step up when you get the chance to be generous!